Deciding whether or not to use Disney Vacation Account is a no brainer for those of us that like to visit the House of Mouse. With no maintenance fees, an easy vacation budget estimation tool, and a simple payment plan, the DVA is a snap. Want the full scoop? We’ve done the research so all you have to decide is when to visit! Let’s be honest. Telling yourself you’re going to budget for a Disney vacation is one thing, but sticking to said budget is a completely different set of rules. First of all, you have to have structure and plan the amount you’re going to put away each week or month and then … you need the will power to carry out the plan and stick to the budget. What if you could have Disney hold your virtual hand through the saving process and guide you step by step? Seriously. Here’s how it works. You estimate the cost of a Disney vacation by first selecting the destination and filling in a form. It asks pertinent information like what resort you want to stay at, dining plans, and theme park tickets. After you’ve added in the details, Disney Vacation Account helps you to create a plan and assign yourself a budget based on your saving pace. You can start saving up to five years in advance of your planned vacation date. Using automatic savings contributions via your debit or credit card, you can add to your Disney vacation savings account weekly, bi-weekly, or monthly. In addition, you can always add more at any time using your preferred debit or credit card or even a Disney gift card. Once you get your account rolling, Disney helps you stay on track with progress trackers and even helps you manage your account. Your travel goals may be updated at any time as well and new budgeting goals assessed. 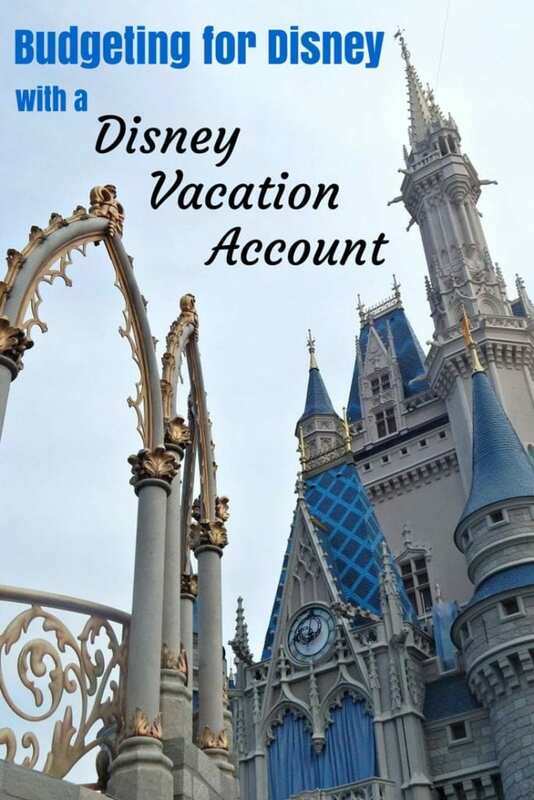 Disney Vacation Account charges no fees for initiating or maintaining your savings plan and should your plans change and you need to cancel, it can be done at anytime without penalty. Sounds like a no-brainer to me. What are your thoughts on the new savings plan? Doable or don’t-able? Share your thoughts with us below.